Fighting Irish Thomas: Obama getting away with murder? Chesterton to the Rescue! Obama getting away with murder? 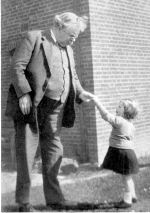 Chesterton to the Rescue! "The election was not about a conflict between Democrats or Republicans, or between Drink and Prohibition, or even between Agriculture and Finance. It is, in the simplest sense ... a conflict between light and darkness, between people who take a certain view of the facts and people who have never even heard the facts; between principle and prejudice, between cosmos and chaos." Although it was 80 years ago that the man dubbed "The Apostle of Common Sense" made his fateful comments about the then current election in America, they undoubtedly ring true today. Of course, you would substitute the words "Gay Marriage" and "Abortion" for "Drink" and "Prohibition," but the principle (and prejudice) remains the same. In those days, Chesterton argued, Governor Smith lost not so much because he was for social drinking and against Prohibition (a subject which, by the way, history proved him right about) but because he was Catholic—and the Republicans convinced enough ignorant WASP Americans that not only were Catholics not Christians, but that the Pope (who would be secretly dictating American policy if Smith were elected) was the Antichrist. Just as the saintly archbishop Fulton Sheen's statement that "While there are millions who hate the Catholic Church for what they think it teaches, perhaps only a hundred or so despise it for what it really professes" explains Governor Smith's dilemma, I believe that if Obama's supporters truly knew what abortion (and euthanasia) was about, very few would still approve. Still, the faithful Catholic has to admit that, to date, the Democratic strategy has been diabolically effective. First, the Dems (with the help of some money-grubbing Republicans like Romney) eliminate the only legitimate pro-life candidate, Mike Huckabee, and now they have gotten the eventual Republican nominee, John McCain, to focus on issues such as health care, the war, and the economy rather than the systematic sanctioned slaughter of our country's most vulnerable. Not only do the Democrats not show photos of just-born babies stabbed, young girls strapped down (on abortion tables) or old men shot up (with deadly drugs) against their will, they seemingly have successfully relegated abortion to second class status when it comes to election issues. And unless McCain (or a wholly pro-life running mate) can bring these issues (and their consequences) back to the forefront, this land is in for a very long and dark night indeed. "When a nation gives birth to a foolish law," said Chesterton, "they do not start or stare at the monster they have brought forth. They have grown used to their own unreason ... these nations are really in danger of losing their heads en masse." And, when Chesterton notes "these vast visions of imbecility" once they become policy, are almost always enforced by force, we have little reason to doubt G.K.'s double entendre was intended. For once Obama is elected King (or "Lord" as the peasants were forced to call them) "voluntary" abortions for the poor will become mandatory, euthanasia (unless one is wealthy enough to buy their way out of it) will be "enacted" at retirement, and gay marriage will be the new official state "union," as it leaves far less of a carbon footprint than that messy "married with children" thing. Surely these "fashions" seem utterly "fantastic" to the current orthodox Catholic, but as Chesterton reminded us, "New things every bit as wild as this are being received in silence every day." And so, whether our course of action is picketing the abortion mills, pleading with McCain for a pro-life running mate, or simply shouting Barack's lies from the rooftop, know that the time for silence has passed, but will return all too quickly if we don't speak now and the Obamanation is elected.